Realtor.com is the second-largest real estate marketplace on the internet, with over 60 million visitors every month. We will show you how to get Realtor.com leads using their free services, as well as explore how much Realtor.com leads cost using their paid services and other third-party products. If you want to boost your leads even further, we recommend BoldLeads as the best place to buy real estate leads. With lead exclusivity that locks out your competitors, you don’t have to share leads; only one agent get leads from an entire zip code. Start dominating your farm area with BoldLeads. Reduced Competition. While other platforms like Zillow allow For Sale By Owner clients to advertise on their platform, Realtor.com only allows licensed agents, thereby reducing your competition. Reach. As the second-largest real estate marketplace on the internet, your reach to potential customers searching for homes in the area is vast. Realtor.com leads can come from utilizing free services or can be optimized by subscribing to many of the paid options, which can range from $25 per month or more. From branding your listings to customized seller lead generation, we’ll discuss the many different packages of Realtor.com that help agents gain qualified leads and make more money. Showcase Listings give you the ability to add your headshot, contact number, and brokerage information to listings. Instead of the standard generic “contact agent” button that sends leads out to agents who are signed up for Connection for Co-Brokerage, for about $25-$30 per month you will get leads that would otherwise be sent to multiple agents. Listing agents pay a small monthly fee of about $25-$30 in order to have showcase listings. Pricing is determined by how many listings you have, and is paid monthly with a one-year contract. If the listing agent doesn’t opt for a showcase listing, there is just a “request more details” button instead of the listing agent’s contact information, which sends the lead to agents who sign up for Connection for Co-Brokerage. With Showcase Listings, you get the same in-depth lead information that agents signed up for Connection for Co-Brokerage agents get. For example, you will get contact information, their last three searches, saved properties, and demographic and social media information when available on all of your leads. Much like Zillow’s Premier Agent Program, Connection for Co-Brokerage is Realtor.com’s buyer lead generation service. Connection for Co-Brokerage gathers leads from site visitors and sends them off to participating agents with pricing based on zip code. In order to use Connection for Co-Brokerage, agents simply choose which zip codes they would like to get listings from and then pay a monthly fee (based on the zip code and market conditions) to Realtor.com to receive leads. The only caveat is that leads are sent to multiple agents (three or more) who signed up for the same zip code, so contacting leads immediately is essential to conversion. One great feature of Connection for Co-Brokerage is that Realtor.com does not require leads to register with the site before requesting more information about a listing. This means that they are providing their contact information voluntarily. Leads from this system actually want to be contacted by agents. 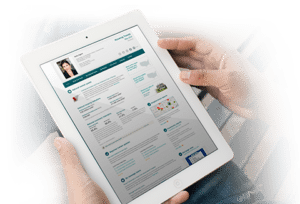 Homebuyer’s profile information, including age, job title, years at current residence, and links to social media sites when available. While you have the ability to respond to leads without any additional upgrades, one thing many find useful is to upgrade your Connection for Co-Brokerage account to integrate with Top Producer CRM. This is a seamless integration that gives you the ability to send automated, personalized lead responses as well as consolidate leads from over 50 sources. 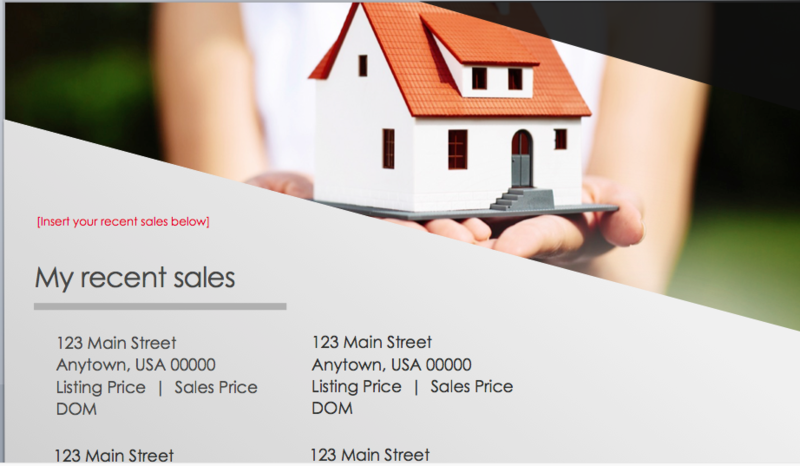 Connections for Sellers is Realtor.com’s seller lead generation option. 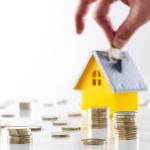 Potential clients looking to find out what their home is worth will fill out the home valuation landing page, those leads are vetted, and sent to your inbox for a price based upon zip code, which usually ranges from $25 per month to far more depending on your market conditions. 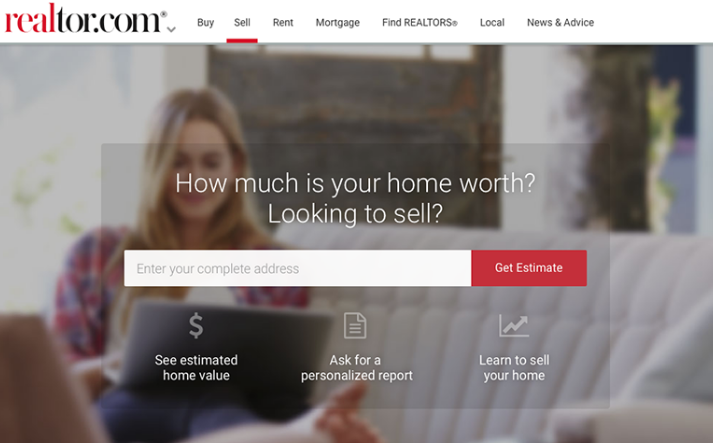 As you can see from the image above, home sellers who are looking to find out how much their home is worth put their contact information into Realtor.com’s home valuation landing page, where they have a couple of options. They can fill out a form to get a local agent’s opinion and then have the option to send their request to one, two or all agents on the page. Having an outstanding profile is important to being selected. Once the lead has been vetted by the Realtor.com concierge team, the lead information is sent to you, which includes phone number and email, along with any other actionable insights the team was able to gather. 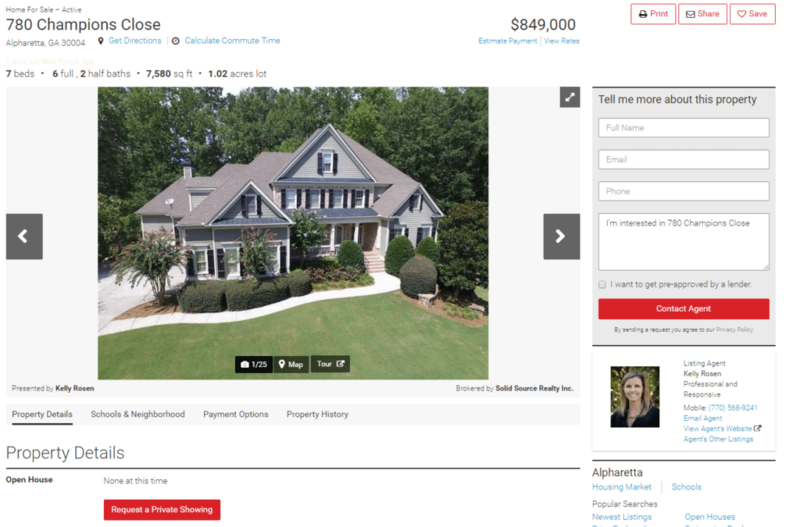 Digital advertising packages allow agents and brokerages to build their brand by advertising on the side of Realtor.com’s listings results page when potential homebuyers are searching for homes. Pricing is based upon zip code and could vary from $100 to $1,000 or more a month, depending on market conditions. While paid services extend your reach and get you in front of the right people, laying a solid groundwork will help you get the most ROI. If you want to make sure as many people as possible will click on your ad to contact you, here are some strategies to help your Realtor.com advertising convert. Using your profile page to the fullest is a great way to market your business, and gives a snapshot of your business expertise to potential clients. Free profile pages include your headshot, bio, reviews and recommendations, current and recently closed listings, and contact information. Your profile page will be the first place that house hunters on Realtor.com will go to research you, and due to the power of the platform, will also be one of the first results on Google when they search for your name. 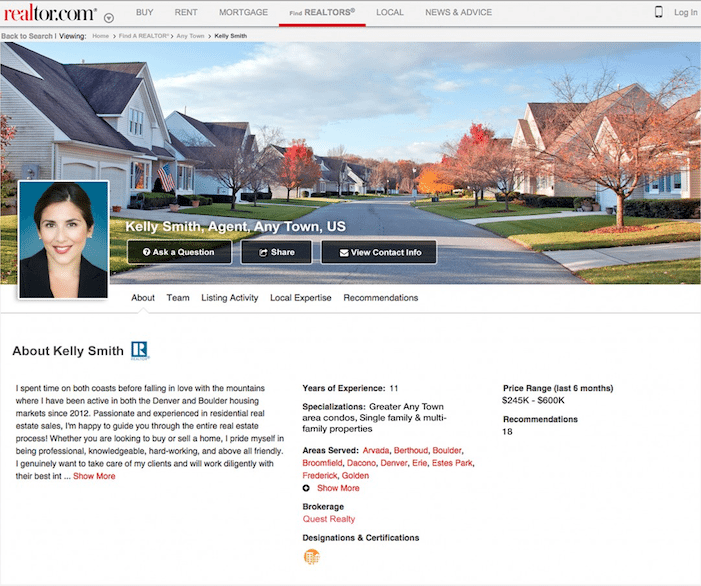 While your Realtor.com profile page is no replacement for a well-made IDX website, it is essential that you have a great forward-facing profile. The perfect headshot should convey trust, competence, and confidence. Elements like smiling, selecting an appropriate background, and dressing professionally are crucial to creating the right impression about your brand and business. To learn more, see our article on the perfect realtor headshot. Real estate bios should capture your potential clients by disclosing a bit of your personal history, remaining succinct, and connecting you to your farm area. While you shouldn’t be afraid to showcase what you’ve done, be sure not to come across as arrogant or boasting to potential Realtor.com leads. To learn more tips, see our article on how to write the perfect real estate bio, which includes examples from the pros. Social proof in the form of client reviews demonstrates to your leads that you’ve been able to get the job done, and will be able to do so for them as well. If you have helped clients get their dream home, feel free to ask them to leave reviews that can help boost your online reputation and send you more clients. If you need help getting reviews, or feel awkward about how to approach previous clients for them, check out our guide on how to ask for real estate reviews. The Mobile Listing Website Builder allows you to create free single property mobile websites for your listings. 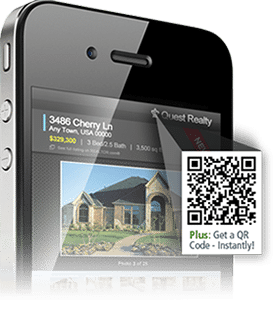 These single property sites generate automatic QR codes that allow house hunters to simply scan the code offered on flyers, riders or postcards with their smartphone to learn more about the home. There are only three steps to creating your own free single property website. At the initial prompt, place your MLS and ID number into the mobile website builder. This will validate your status on Realtor.com and allow you to pull up your current listings. When your listings automatically propagate from Realtor.com, scroll through them, find the listing you would like to create the code for, and double-click. Your mobile website is completed and ready to be shared. You will see that there is a link created to share your new single property website, a QR code you can use on any marketing materials, and even flyer and postcard templates for you to use. If you would like to display a call now or email button on that single property website, you would need to get Showcase Listings, but the mobile single property website itself is absolutely free. Housing Trends e-newsletters are free, monthly, customized local market reports that you can edit and send out to your leads. The local market data available on these reports are from the National Association of Realtors and other reputable sources, making them perfect for your drip marketing campaigns. Contact information – Be sure your contact information is up to date, and that you give cell phone and other avenues for clients to reach you. Listings presented – If you have a featured listing you’d like to include, this is a wonderful way to put it in front of previous or potential clients. Local market data – Customize the data reports on your newsletter by clicking on local market reports and selecting the state where you live. Email signature – Be sure to add an email signature line to enhance your branding. Social media buttons – Add social media profiles to your email signature, and include buttons by going into email and clicking on signatures. Select images from the image library, and link them to your social profiles using the link button. To watch a video tutorial for every step of your Housing Trends e-Newsletter from setup through customization, see their 15 video tutorial series here. The Social Connections Facebook App available with your free Realtor.com account gives you a powerful and free Facebook business page to generate leads. The Social Connections app allows you to feature your reviews and recommendations, current and recent listings, and can be upgraded using other Realtor.com tools or integrations. There are four versions of the Social Connections Facebook App. Social Connections Basic is the first layer of the Facebook app. The basic version of the app will display your listings, and place your business on Facebook if you don’t already have a presence there. Social Connections Plus version requires you to plug in your Showcase Solutions, and gives you expanded features within Facebook. You must be a subscriber to Showcase Solutions to have access to this upgraded version, and the price of Showcase Solutions varies by zip code and market. 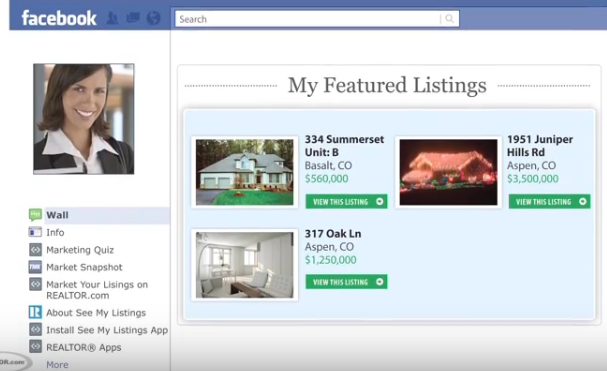 While you will be able to still show your current listings, Social Connections Plus gives you more Realtor.com leads by giving you lead capture forms as well as buyer and seller guides. A great benefit of Social Connections Plus is that it gives you integrated contact forms for potential clients to contact you directly from the Facebook business page. 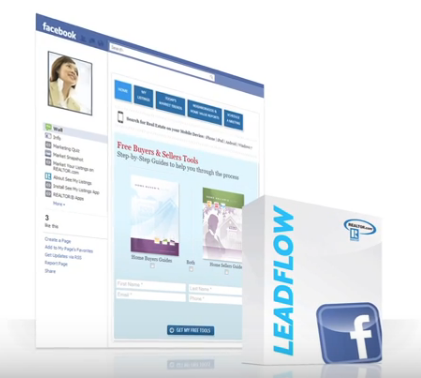 The Leadflow package allows users to incorporate features such as automatic follow -p and lead management into their Facebook lead generation. Rather than the more rigid forms of the Social Connections Plus package, the Leadflow package allows your leads to go directly to Top Producer, an integrated CRM. Top Producer has a subscription fee of approximately $40 per month. 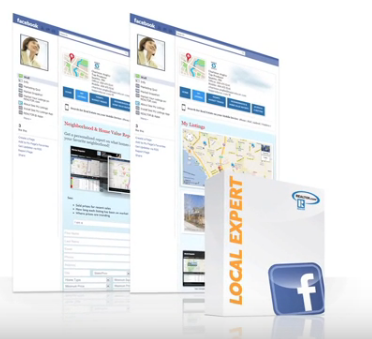 Local Expert offers Realtor.com users the ability to have all the features of basic Social Connections, Plus, and the Leadflow packages long with a Market Snapshot feature. With this feature, you are able to show your neighborhood expertise by displaying detailed neighborhood reports. The Market Snapshot feature, as part of Top Producer, is priced at $65 per month, on top of the CRM fee of $40 per month. The Social Connections Facebook App is free in its basic version with upgrades available through Showcase Solutions and Top Producer CRM and Market Snapshot features. To read more about Top Producer, see our user reviews and pricing information. 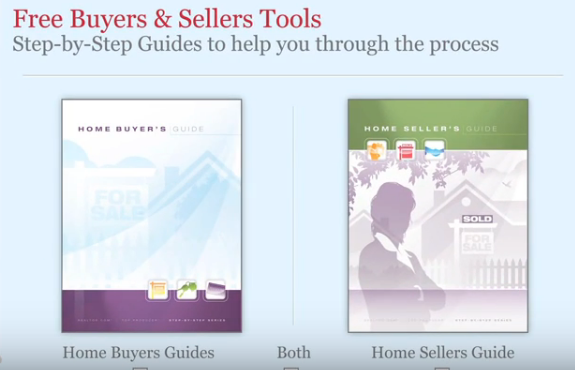 Your Realtor.com account includes a free listing presentation tool that you can download and use digitally or in print. The ability to land listings drives leads, and Realtor.com offers a professional-looking, customizable tool that allows you to highlight your own marketing strategies and incorporate your brand. The Realtor.com listing presentation tool works on your iPad or Android tablet, and can be printed if you prefer to leave your appointments, giving clients something to review. As you can see from the slide above, this is a professional template in which you simply fill in the gaps and create a presentation to convert warm leads into clients. The Marketing Assessment and Ultimate Business Plan are free tools that allow you to come up with strategies to improve your marketing and overall business plan. Integrating these into your overall strategy can improve your lead generation and set the direction for your real estate business. Realtor.com offers agents the ability to take a quick marketing assessment survey, after which they are sent a PDF that contains more expanded elements around planning, training, organizing, prospecting, and conversions. From there, you can fill out a free Ultimate Business Plan that will be emailed to you. Depending on your goals, this business plan will also come with suggested seminars, downloads, and tools for you to use. Utilizing this free assessment and planner can help you analyze your strengths and weaknesses, set the direction of your business, and increase the effectiveness of your lead generation and conversion by utilizing the suggested tools and methods. These products are designed to integrate seamlessly with Realtor.com and will add to your lead conversion ability. While these products are not a required part of Realtor.com packages, they can help you boost the power of your work within Realtor.com, helping to nurture, capture, and close leads. Top Producer CRM integrates seamlessly with Realtor.com, is one of the best CRMs on the market, and allows you to stay in touch with leads throughout the pipeline. Top Producer allows you to get instant alerts, contact prospects, set actions plans and get reminders. Having a solid CRM to manage your leads is crucial to closing them. If you want to learn more about real estate CRMs, check out our in-depth guide here. Tiger Leads Home Search is a fully-featured lead generation and nurturing platform. They do this through targeted PPC ads on Google, IDX-enabled lead capture websites, and automated drip campaigns. The best thing about Tiger Leads Home Search is that it fully integrates with Top Producer CRM and Realtor.com, giving you one further lead generating source. FiveStreet is a Top Producer product that offers automated lead follow-up. You can send automatic text messages or emails to incoming leads instantly, even when you are not present to manage them or busy with other tasks. FiveStreet accommodates and responds to leads from a number of platforms, such as Realtor.com, Zillow, BoomTown, Homes.com and more. 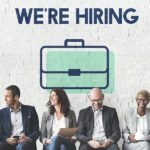 Realtor.com provides incredible opportunities at both free and paid levels, along with integrating fantastic tools, to be able to generate and nurture leads that can fill your pipeline. As the second-largest real estate marketplace on the internet, Realtor.com is an important platform to boost your presence and establish your farm area. If you are looking for even more ways to generate leads, we offer the 15 best ways to get seller leads to get you started.